Schoolhouse Rock has a quick video that gives good information. This site is for upper-grade classes. There are also some social studies games. Click HERE for coloring pages. Here’s an acrostic poem that you can download by clicking on the picture. 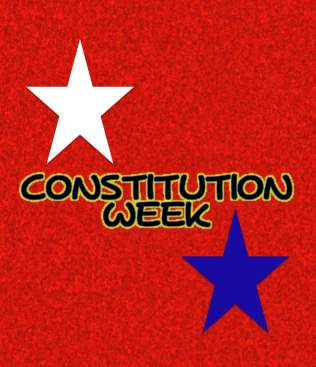 These are good ideas for Constitution week. I have noticed how kids really enjoy School House Rock.